For the Love of Books has been released as a bundled collect. Buy all 8 pieces together and save 25% off full retain price. As a special, I've also discounted the collection another 30% off for this weekend only. The additional sale will end at 11:59 pm EDT Monday, at which point it will revert to the 25% discount. Did you know that if you spend $10 in the ahhhscrap shop, you get this month's store collab for free? This month has a fun space theme, as March 20 is Extraterrestrial Abduction Day. Who knew! 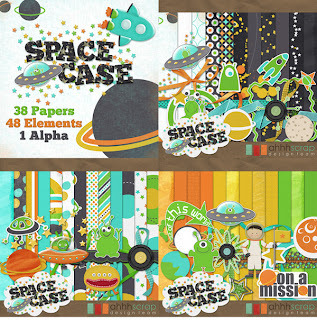 Add this kit to your cart and $10 worth of product to get Space Case for free. It has been a beautiful week here in Colorado, making it hard to focus at the computer, but I am very excited for some of the upcoming projects I've been working on. What's coming up, you ask? 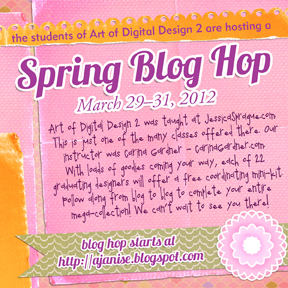 Well, next month's collab was due today, I have a new collection in QC at the time of this posting, AND I'm prepping for a blog hop with my classmates from Art of Digital Design 2. Look forward to sharing all these exciting things with you! !